Vyshyvanka is a name of traditional Ukrainian shirt with special embroidery which differs from region to region. It is a traditional Ukrainian clothing, usually a shirt for men and a blouse for women, with a special style of embroidery and made of linen. 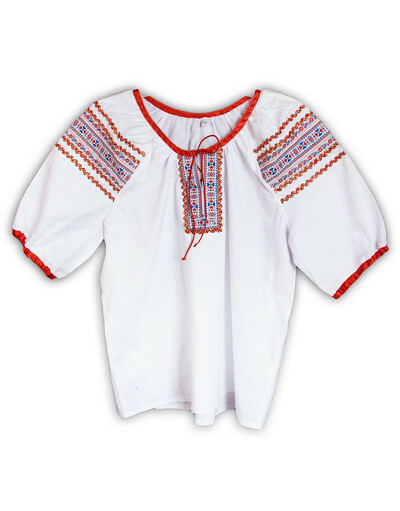 Today Ukrainian shirts in different styles are still very popular and worn by different people of all ages who respect their roots and keep Ukrainian traditions. 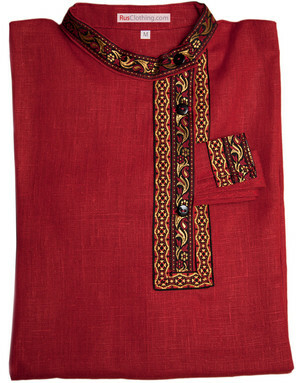 Peasant blouses are used as dance costumes for kids and adults all over the world. 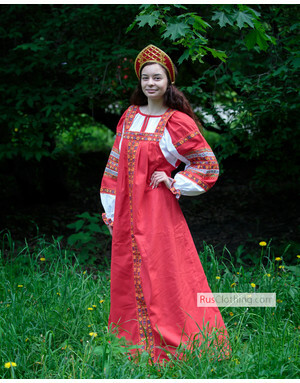 You can also order it as a whole Ukrainian costume with a skirt, apron and a head wreath.